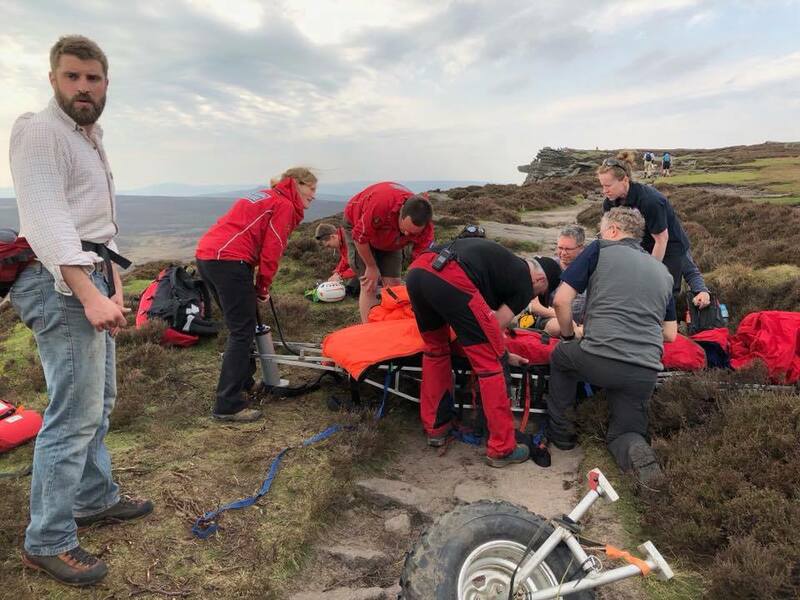 As call out 30 was concluding the team were contacted to assist Edale Mountain Rescue Team with a walker who had taken a fall on Stanage Edge. A couple had walked from Hathersage to Stanage edge and a simple trip on the bouldery footpath had resulted in a painful knee dislocation. The casualty was carried to the road on the stretcher for the onward transport to hospital by East Midlands Ambulance Service for her injuries to be assess.